(MENAFN – Daily News Egypt) Two companies from Saudi Arabia and Bahrain have tasked Cartel Capital to nominate a group of companies in the food sector for acquisition. The head of the investment division in American Cartel Capital for the MENA region, Ayman Abou Hend, said that the Saudi and Bahraini companies are looking to expand into the food industries sector. The companies have chosen to enter the market via the dairy sector, and Cartel Capital has been tasked with examining several other companies in different food sectors for future acquisitions. According to Abou Hend, each company intends to invest about 300m to complete the acquisition plan. The companies target a variety of economic models, including fast growing companies, as well as widespread companies with stable growth rates. Abou Hend pointed out that his company is still negotiating with investors to determine the characteristics of their desired acquisitions and the suitable time to start sending proposals to targeted companies for financial examination and due diligence. He added that foreign and Arab investors know very well that the financial assessments of Egyptian companies have become very attractive after the flotation of the Egyptian pound in November, and is expected to become even more attractive if there is a drop in the value of the dollar. Abou Hend said that the food industries sector is relatively stable, with current growth rates of 20% annually. This encourages investors to complete acquisitions in the sector, he added. Abou Hend noted that investors need to wait for the exchange rate to stabilise, saying that the exchange rate may continue to decline or stabilise. He added that investors are also waiting to judge the impact of the Organisation of Petroleum Exporting Countries’ (OPEC) decision to reduce oil production allocated for fuel subsidies in the state’s budget, which will have a direct impact on the country’s imports of petroleum products and the price of the pound against the dollar. OPEC agreed to cut its daily production by 1.2m barrels, and reached an agreement with a number of non-members to cut their production by 558,000 barrels per day. This decision had contributed to an increase in the price of an oil barrel to 57, before it settled at 54 on Thursday. 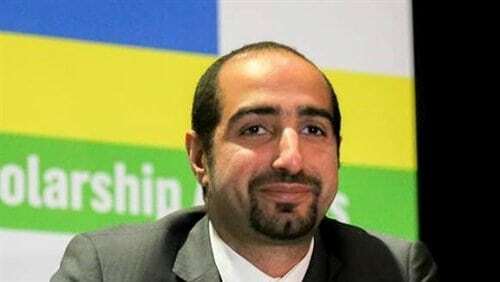 Abou Hend said that Arab and foreign investors are interested in establishing new projects in food production, especially those whose products are exported or replace other imported products in the local market, in light of the recent tax incentives granted by the Supreme Council for Investment in this sector. The council has issued a number of investment and tax incentives, including tax exemption for a period of five years on profits gained from land reclamation projects which export their crops. The same feature applies to new projects that manufacture strategic products.